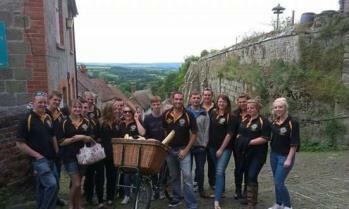 Ever wanted to attend the cheese-rolling championships in Gloucestershire? Or the world bog-snorkelling championships in mid-Wales? Or maybe you would like a personal tour of the world-famous Great Yorkshire show? Perhaps you'd like to bring the rest of your YFC with you, but these events are just out of reach. Or perhaps you have a quirky event in your area that you would like other YFCs to see. Then why not organise a YFC club exchange! What is a Club Exchange? 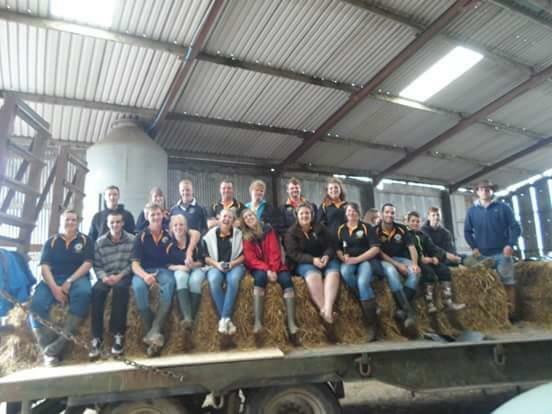 Ever year, Young Farmers from across the country pack their bags and travel the length and breadth of the country to take part in other YFC activities and adventures. In return, clubs then welcome members to their part of the country to provide the same unique experience. Any club can take part in a YFC Club exchange. You can take however many members you want for as long as you want. This is the ultimate tailor-made travel experience for you and your club! You don't even have to exchange with another club within NFYFC. How did you come up with the idea of a club exchange? As club chairman of Gillingham & Shaftesbury YFC, I felt that my club needed a large positive event to bring members together. Also where my club is positioned in Dorset, we can sometimes be somewhat out the way, so I felt it was a fantastic opportunity to allow my members the chance to meet other fellow YFC members. Was it easy to organise? It was relatively easy to organise down to the fact once the ball got rolling. A lot of my members stepped up and we started to come up with a timetable for the three days that Falmouth members were due up. What also helped is that a good chunk of members from both clubs have undertaken large County, South West Area or even national roles and were used to the organisation required. The main task was finding members that were willing to host for the weekend. I think out of the 13 that came up, I had five, but then the following night we all camped on a friend’s farm. Why did you choose Falmouth YFC? I chose Falmouth as I was already good friends with one of their members (Ben Cavill), which made it easy to open up a line of communication with them. Also I knew that they were relatively close in the grand scheme of things and thought that Cornwall was still a good distance away for my members taking part in something that the club hadn't done in years. How often did you meet and how many years did you keep up the exchange? Falmouth were the first to come up and they spent three days with us. We then went down the following weekend and again spent three days. 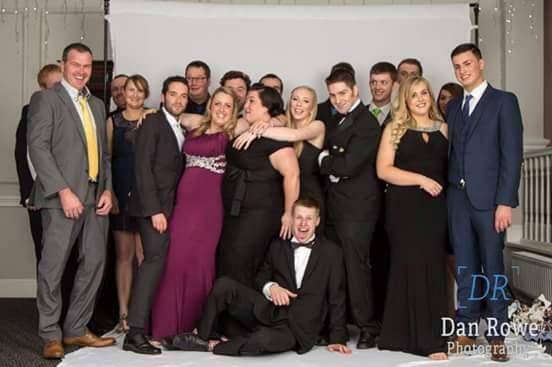 After that, several of us (myself included) went down about 5/6 times a year, either to their club night, Dinner & Dance or Cornwall YFC events. We even had a member move down to Cornwall and get a job, partly thanks to the exchange. A number of us still stay in regular contact with each other. What activities did your club get up to? What activities did you prepare for them? When we went to Falmouth, we were met by the whole Club and we spent the evening sat around a camp fire, singing songs and catching up. 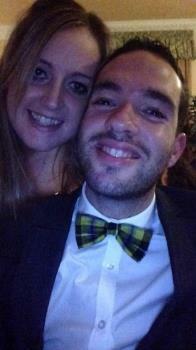 It truly was one of the most enjoyable nights I've had. We spent the next day doing things like blindfolded pasty making and then spent the afternoon on a beautiful Cornish beach before going kayaking. When they came to us, we started by playing a game of skittles - a proper Dorset Young Farmers tradition. We had a fantastic tour & bbq around one of our members farms and, in the evening, we went around one of our members’ homes who lived on an airfield, had an outdoor disco and camped out under the stars. 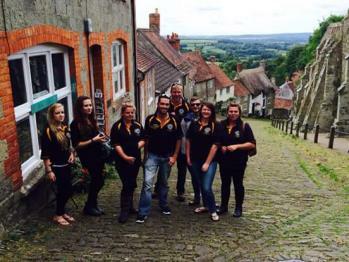 Sunday, we took them upto the famous Shaftesbury Gold Hill Fair (Where the famous Hovis Bread Advert was filmed). We had a good look around and finished the weekend at The Coppleridge Inn (our YFC’s meeting place) with a slap up lunch. What are the benefits of a club exchange to junior, intermediate and senior members? For our junior members, they were able to see the friendships that seniors made and as a result, even those juniors that weren’t members have reached out and contacted the younger members of Falmouth and Cornwall and are in regular contact chatting over Facebook - hopefully building friendships that will last for a lifetime. For the seniors, I know that so many of us have made true life-long friendships. I know personally that I have made so many friends out of just one club exchange right across Cornwall. I know that when I pop down that I'll be able to bump into someone I know and carry on a friendship with that person from the last time I saw them. I know a lot of my senior members are the same. What did your club learn from the exchange? We all learnt just what fantastic opportunities that Young Farmers can have - not just as members, but as people. We also learnt that there were shocking similarities between our members and there’s - some down to a tee! Have you made lifelong friends with members from Falmouth YFC? Why would you recommend other clubs take part in an exchange? The benefits of the club exchange are still being felt by many of the members even now. My club was in need of something that could bring us all together as a club and make us stronger - and a club exchange did exactly that. We were able to have experiences, go to new places and meet people we never would have met if it wasn't for the exchange. I can't stress the benefits of it. For me, it is and it'll remain the highlight of my time in Young Farmers! Decide how many and the age range of members you can host. Decide if the exchange is for over 18s, under 18s or both. If under 18-year-olds are involved there ask your county office or NFYFC for further guidance. Decide when you want to host and when you want to visit - pick out a few dates you can host another club, as they might not be able to do the first one that comes to mind. When trying to set dates; look for social events in the Club and County - local shows are a good event to visit! Consider working patterns and school holidays, even if the exchange is for over 18's there may be some students keen who might be at university. Make sure the dates you pick to host, your members are available, as the club is there to see you and not just the events, shows, farms and business trips you organise for them. A weekend exchange is often the right amount of time, not too long that people need to get back to work, and not too short to allow you to get to know each other. Put a call out for an exchange club via NFYFC this will reach members from across England and Wales. Devise a budget to include travel costs and the costs of activities. Make sure that the cost of activities reasonable - if it is too expensive members may not want to participate in all the activities. Research - find out what your exchange club members are interested in and organise a study visit to a local business or farm based on their interests. They will appreciate learning something new and taking it back to their county. Think of how the visiting club is going to get around. They might not drive to you, they may have caught a bus or train, so you need to consider transport to different events/trips out. Even if they drive you need to see if they’re happy to drive themselves. 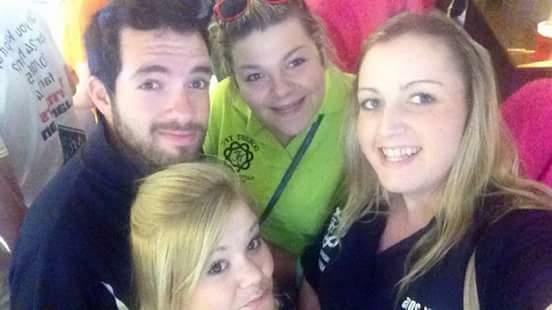 If you're thinking of organising a club exchange, email your details to post@nfyfc.org.uk and we'll do a shout out for you!